Providing emergency services sector with cutting edge road safety products and technology that help protect these heroes when they are exposed to the high risk dangers of attending incidents on our road network. Our emergency services are risking their lives every day when attending incidents. At Rennicks we pride ourselves in being able to provide these operators with cutting edge road safety products and technology that highlights and protects these heroes when they are exposed to the high risk dangers of attending incidents on our road network. At Rennicks we provide products and technology which give every day road network users as much information as possible to keep them safe and informed (which in turn allows our emergency services to focus on the job at hand). 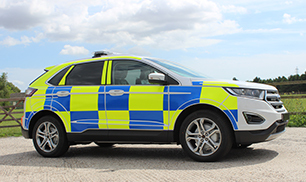 Rennicks has developed a range of premium conspicuity materials to support emergency services vehicles enabling them to be clearly visible at all times. Our Nikkalite Crystal Grade provides the highest performance of retro reflectivity, surpassing all industry standards. 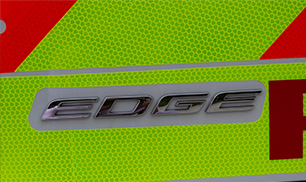 The prisms have been specially selected to achieve optimum reflection and angularity to enable early recognition and visibility of the emergency services vehicle. We have a number of approved converters who are regularly audited to our high standards for peace of mind that your vehicle livery is applied correctly and will withstand the test of time. Our recently launched IVM TACTIC is our latest innovation for this sector and an addition to our already successful vehicle mounted VMS range. This new vehicle mounted, mobile traffic information system is ideal for instant response to road traffic incidents. Centered around safety, the third-generation LED screen provides optimal visibility with the option to rotate 45 degrees left or right – perfect for parking in the fend-off position and immediately creating a safe zone for the incident site. 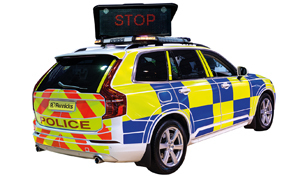 The vehicle mount VMS technology offering from Rennicks ensures that your key personnel have the added support of innovative LED signage which road users can read far in advance of the incident on the road network. Contact us to discuss your emergency services fleet requirements and find out more about our vehicle conspicuity materials and traffic information systems.